Coordinating AV crews is often a long and daunting task. You have the perfect crew members in mind, but their availability doesn't match. You decide to add AV contractors to the project, but you're lost on how to handle their contracts and insurance. Your project times and dates need to be changed and you have to communicate these changes to your entire crew, fielding questions in between, but your communications are scattered and messages get lost in the process. 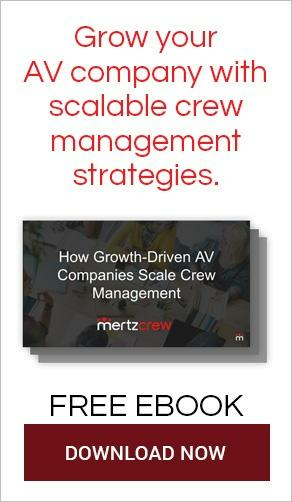 AV crewing is a big job, and the more opportunities you have to streamline and automate the process, the more time you’ll be able to save and redirect toward managing the rest of your responsibilities. AV crew and contractor software designed for crew management is the perfect tool to have in your back pocket when creating, scheduling and coordinating AV teams. While the uses of these AV crew management softwares are vast, here are a few of the ways they can be used to automate one of your most stressful crew management tasks: workforce coordination. Coordinating large crews can be a challenge when you consider all of the moving components. Especially when said components need to be clearly communicated to every independent contractor and staffed employee who’s part of each crew. By creating an online AV project, all related information is in one central place that can be referenced by everyone involved, providing project updates to team members as the scope of the project and project details change. By utilizing an online AV crew management system, all that’s required is that you fill in the blanks (time, location, etc) and let the software automate updates for you. Another benefit this brings: your inbox will get a break from email after email asking the same question! Even if your crew knows everything that’s supposed to be happening in relation to the project, it may not be entirely clear when or where a particular contractor needs to be to fulfill their role and make sure the event runs smoothly. AV crew and contractor software allows you to create a simple, detailed, online schedule for AV crews all in a few simple clicks. AV management software not only makes scheduling a breeze, they also provide clear-cut information to help you monitor overtime, over-scheduling, under-scheduling, and ensures every task necessary to the project is completed. The best AV crew management tool an AV professional can have is one that includes the ability to create schedules for the project as a whole, along with daily call times, and customized schedules for the types of crews your project requires. This means having the ability to set different schedules for both running crew and set and strike crews made up of both contracted freelancers and payrolled employees. This way, you can have separate and accurate schedules for the crew that is working on the event when it is taking place, as well as the crew involved in setting up and taking down the event. 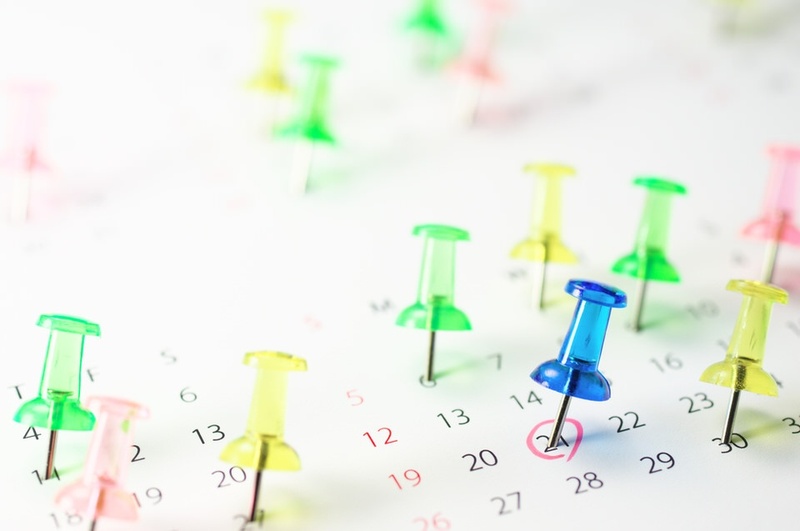 Scheduling tools should also provide you with the ability to edit details at will, allowing you to make and communicate quick changes when the unexpected comes up. Crewing your AV project can be a slow task when negotiations are involved. With contractor software, AV schedulers and project managers can negotiate payment rules, rates, and per diem with contractors in one central location. From there, a contractor has the option of either accepting or declining the project, which also puts the contracting process in clear, contractual terms. This in-app negotiation feature allows for clear-cut negotiations and allows for the negotiation process to happen quickly and efficiently until an agreement is reached and terms are accepted by both parties. By making the negotiation process with an AV contractor and management software more efficient, nothing will hold up your project. One of the most important features of AV crew and contractor software is that schedulers have the ability to track time throughout every aspect of the project from beginning to end. From employees and contractors to third party labor companies -- all are capable of being tracked from within an all-in-one AV crew management software. Online time tracking and daily approvals makes it easy for bills to be sent immediately after the project ends, rather than delaying the payment process to manually calculate all the contractor invoices. Instead, the software calculates these costs and times daily, organizing them for the contractor so that when it’s finally time to close the project, all of their recorded time tracking has already been accounted for and tabulated in real-time in the form of a ready-made, software-generated invoice. By expediting the billing process, schedulers can improve cash flow as wait times between client invoicing and payments are reduced. Rather than waiting to get your client invoice paid while simultaneously paying out your contractors (possibly putting you in the red in the meantime), the addition of an AV management software will speed up these transactions. Not to mention, clients also enjoy “Daily Approvals,” which allow them to manage their own cash flow and and invoice their own clients faster, all while relieving pressure of manual information tracking for the labor manager or coordinator. 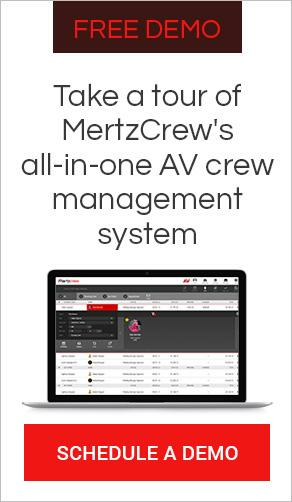 To see how an all-in-one AV crew management software works in action, visit MertzCrew and schedule a free live software demo. Companies can see how the software automates workforce coordination and makes the entire contracting process more efficient and profitable.